A Georgia family wants justice after a newly released video revealed that Rome police officers laughed as a drunken 22-year-old Juan Porter was tasered. The case stems from a 2017 arrest where Sherriff’s deputy, Sgt. Matthew Battle was terminated after the sheriff’s office took swift action and determined he had violated policy. But the new video shows Battle possibly wasn’t the only officer who used excessive force and taunted Porter. 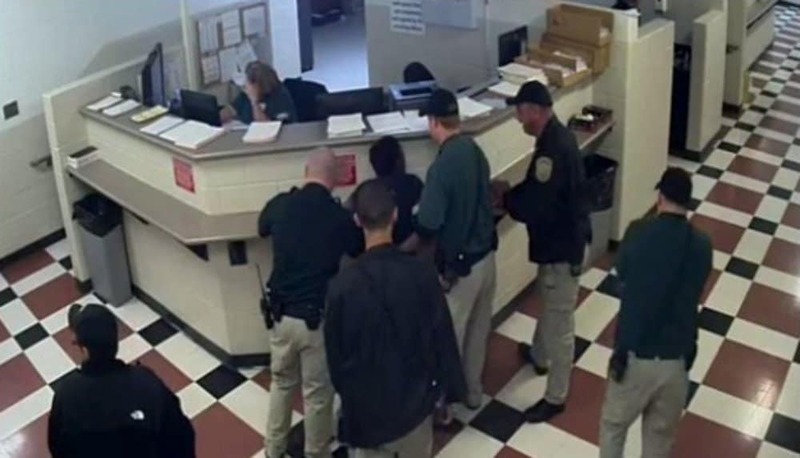 The county now faces a lawsuit over excessive force allegations. Porter was arrested on a drunkenness charge in January 2017. Porter said that Rome Police brought him to the jail around 5 am on January 7th after he was attacked by four men at a motel. The video shows that just by the mere sound of the taser, Porter nearly collapses as officers laugh. Battle had already shocked him once for reportedly acting combative in the jail. Porter said he was not combative and Battle tased him because he refused to sign paperwork to have his blood drawn. Battle then triggers his taser twice as he scares Porter and the deputies laugh. Porter’s family says he wasn’t a threat and was on the ground. They believe it was unnecessary to tase him. In a statement at the time, the sheriff’s office said, “Our administration continues to keep assurance of public trust as a prime concern of our office,” commented Corporal Carrie Edge, Public Information Officer. Curry believes that more officers are to blame. According to reports, Curry’s attorney drafted a lawsuit over the weekend.